Mill City Press, Inc., 9781626520509, 274pp. Russia, 1914. Rivka, daughter of a prosperous boot maker, seems destined by tradition for marriage and the humdrum rounds of shtetl life. Then war breaks out, and things go badly for the tsar's army. When demoralized troops begin deserting their posts in the trenches, one unlikely officer recruits a battalion of girls to set an example for the men. Rivka seizes upon this chance for adventure as her once-in-a-lifetime opportunity to do something great in the world. She signs on, never suspecting the terrors that await her, or the trials that will test her, or the mishaps that will take her from the frozen steppes of Siberia to the hot, dusty hills of Palestine. 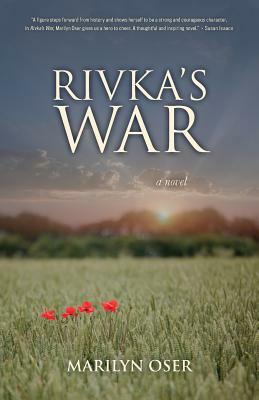 Based on actual events, Rivka's War is a riveting tale of loss and survival. In vivid detail, it portrays the impact of the Great War on Jewish life, re-creating a vanished world.